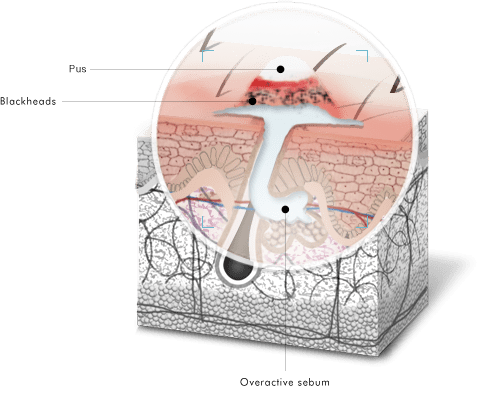 Acne is caused by excess sebum production and inefficient desquamation. While the cause of acne is unknown, hormones and stress are contributing factors. SkinCeuticals proven skincare solutions fight the production of excess oil and help reduce pore-clogging dead cell buildup to help improve existing blemishes and minimize future breakouts.